2015 October | Federation of North-American Explorers | Semper Parati! Our group chose the Holy Cross of Christ because we desire to pledge our love and fidelity to the sacrifice that our Lord made upon it, thereby seeing it as the model for our lives and the path to salvation. We know that there is no love without embracing the Holy Cross of our King. We also recognize and hold most dear in our hearts the sacrifice of our Lady, the blessed and immaculate Virgin Mary, as she watched her son suffer upon the Cross. We promise to wear her blue colors to honor her love for us and to wear the black colors of our holy priests who do their work in service to the will of God almighty. Q. What sections will you be offering on start-up? 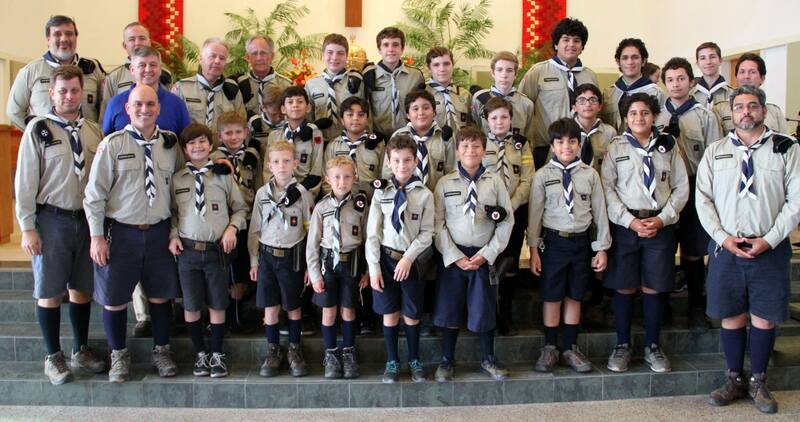 We currently have boys’ Explorers and Timber Wolves. Q. How did you hear about FNE and why did you choose to join? We chose FNE because we wanted an organization that balanced the importance of outdoorsmanship with the faith of the Holy Roman Catholic Church. We chose St. Dominic Savio as our Patron Saint because of his example of always leading his peers to God. We think our youth can identify with him because he was so young and still so full of faith in Christ. On Saturday, October 17, Dom John Berchmans Tonkin, CRNJ, was ordained to the sacred priesthood by His Excellency Bishop Athanasius Schneider, ORC, auxiliary bishop of the Archdiocese of Maria Santissima in Astana, Kazakhstan. Reprinted from The Explorer vol. 2 – Fall 2014 of The Explorer. I would like to call the reader’s attention to a very important (in my opinion) address by Archbishop Charles Chaput of Philadelphia. In his biography of Francis, Augustine Thompson — the Dominican author — notes that Francis had a passionate devotion to the Blessed Sacrament. It was the heart of his life. 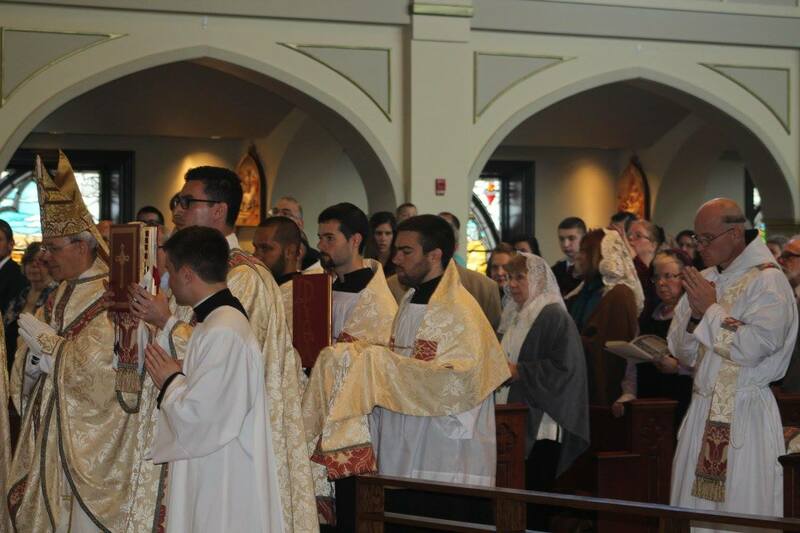 The Mass was the grounding for all his work. There’s no way of reinterpreting Francis in generically do-gooder or humanitarian terms. He had hard words for those who oppressed the poor, but even harsher words for those who ignored the Eucharistic presence. One thing that strikes me about St. Francis is how he is countercultural in every age. Abp. Chaput points out that, were he alive today, St. Francis would be seen as a “religious crank.” But this attitude is not unique to moderns. St. Francis was disinherited by his own father and later fought his own brother friars who wanted to modify the Franciscan rule “to the times, and make it less demanding.” How often do we hear today of how this organization or that must change its teachings to conform to contemporary attitudes, whether it be in the Church, with calls for the ordination of women or the reception of Holy Communion for those in irregular marriages, or even among youth movements tracing their origin to the work of Lord Baden-Powell, with calls to abandon the traditional Promise (or Oath) and to modify the Law to make it relevant for today’s youth. St. Francis reminds us that we must stay true to our principles even in the face of opposition from today’s culture. The talks that we regularly have with the Pontifical Council for the Laity comfort us and encourage us to go on working at the service of families and youth, not in a “new wave” scouting but on the contrary by releasing nothing of what is the heart of our proposal. The values which are at the centre of our method cannot be changed. Technology, philosophy, fashion, habits or other things have no grip on what we want to be, because our values are anchored on natural morals, which is at the basis of any education. 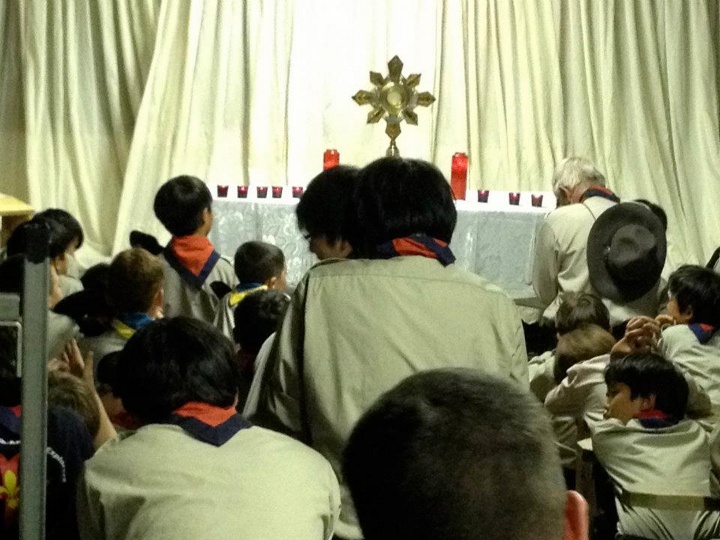 We can observe it during the last forty years: every time an association has put in perspective* the scout law, it has been gradually deleted. 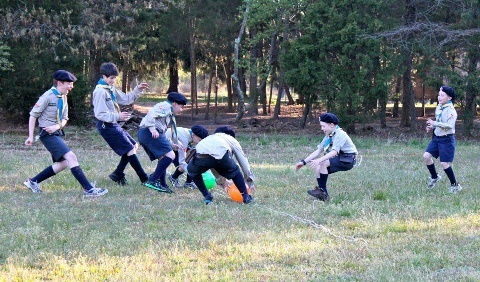 These examples should help us not to fall into the trap of fashions or momentary mistakes but on the contrary to do our best to make as many boys and girls as possible discover the scout joy and share it around them. I think the idea of B-P’s, when he invited young people to go against the current, to know how to “paddle your own canoe,” is still extremely valuable today, when fad and fashion, so to speak, and even thought are so influenced by the mass media. And cuckoos and charlatans are found everywhere, unfortunately also in high places! St. Francis was chosen as the patron of Timber Wolves because he is a saint full of goodness, gentleness, and sensitivity. He is strong. His figure is not steeped in legend as is that of St. George, but is concrete, historical, and documented. And yet there is also about St. Francis a legendary aura of candor, present especially in the “Fioretti” [the Little Flowers of St. Francis, stories from the saint’s life and work]. But it must be a candor born of wonder, felt the brothers who followed the master, enchanted by his holy simplicity and his friendship with animals both mild and fierce. The Saint spoke to them with the simplicity of heart of one who has gotten rid of all human “packaging” before developing an appetite for luxury, power, or success. This behavior is full of instruction for Timber Wolves, boy and girl, and can fill us, especially leaders, with shame, if we fail to match this sensibility — happy in freedom from greed — with our own — sometimes too dependent on the opinions and requirements expressed by what we call “society,” an ambiguous word that allows us to justify ourselves perhaps a little too quickly. And yet, one who has learned to take the road less traveled, who has enjoyed the water of clear mountain streams, who has felt the goodness, beauty, and warmth of the evening fire, who has felt his face touched by a warm breeze on a spring day or whipped by the cutting wind of winter, who has helped a brother in difficulty, shared with him a last sip of water, can understand the message of the revolutionary “Poverello” [little poor man] of Assisi. This message is not revolutionary merely because of the refusal or extreme reduction of wealth — for which, nevertheless, many men sacrifice attachments, time, and energy — but because it is a message of simplicity, and only those who are as simple as children enter the kingdom. Thus it is that whoever drives in a car can hear the whisper of wind through the woods in a mysterious rustling; thus it is that one cannot stop himself from facing, in ecstasy, the splendor of a hidden mountain flower giving glory to its Creator with all its beauty, impossible to reproduce. In the message of St. Francis, there is great poetry, great philosophy, and especially a great faith that pacifies the soul of one who does not deal in the petty quarreling and desires of the rich. From the cross at San Damiano, Jesus said to Francis: Repair my house, which is falling into ruin. Those same words are meant for every Christian life and home and parish. How we respond is up to us.